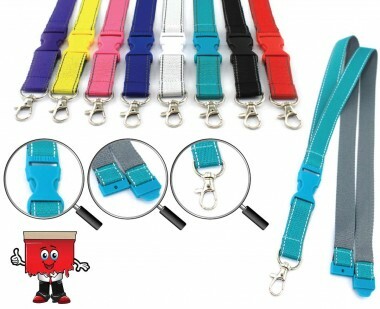 When it comes to the best quality in Lanyards, Our Pantone Matching Lanyards is the ultimate in quality. This dual colored lanyard comes with a standard gray color on reverse with a choice of vibrant colors on the front with matching Buckle and Safety Breakaway Clip on the back. All the PMS Lanyards come with a reflective line sewn across the entire length of the lanyard at the edge that gives a premium look to it.